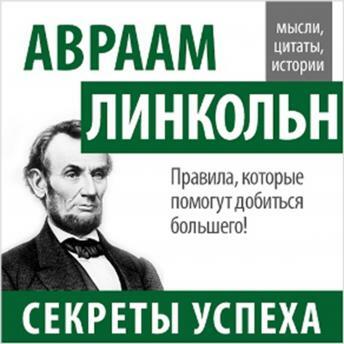 The most vivid and characteristic quotations of one of the greatest politicians and thinkers of Abraham Lincoln. The 16th US president, the emancipator of American slaves, has forever entered the world history as an interesting and charismatic statesman and an honest man, a worthy example for imitation. The extensive correspondence of Abraham Lincoln has survived. In his letters we find amazing examples of the wisdom and heartfelt generosity and nobility of this figure. Abraham Lincoln is an example of tremendous perseverance and the will to win. A well-known fact: before he became president of the United States, he lost eight elections! But failures in politics, business, health problems did not prevent him from becoming a prominent figure in world history. A selection of interesting quotations of this amazing person you will find in this audiobook.